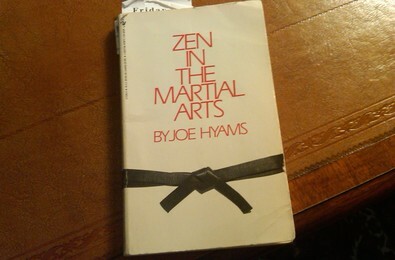 1) Zen In The Martial Arts (Hyams): A great overall guide to using body AND mind to achieve all you desire. Whether it be a more powerful, healthier physique, greater success in business, or even personal relations. Learn to succeed in a way that is calm, measured, and more ‘free flowing’ – rather than overly aggressive, haphazard, and perhaps…not so much. I read from this book daily. I likely will, for life. Find out why. Powerful stuff! 2) The Ancient Secret Of The Fountain Of Youth (Kelder): An awesome little treatise on value of just a handful of simple exercises. They're ones that virtually ANYONE can do. All you need is a few square feet of space, and a bit of commitment. Yep, it doesn’t take much in the way of equipment (none, in fact) to get in a rewarding workout – one that can change your life, forever. This little guide proves it, once and for all. Read it. Use it. And be reborn! 3) As A Man Thinketh (J. Allen): Famous short book on value of maintaining good attitude. Allen claimed, ‘Just as a gardener cultivates his plot, keeping it free of weeds, and growing the flowers and fruits he requires, so may a man tend the garden of his mind.’ Agreed. Allen’s book is UNDER 100 pages. Yet it packs a powerful punch, indeed. Read it. And discover how to make your mind ‘weed free,’ today. No toxic spray required. 4) The Master Cleanser (Burroughs): Short booklet on value of fasting with lemonade. The author claims to have seen a wide variety of allegedly ‘terminal’ ailments, successfully treated by simple fasting. Probably a good idea. As our animal friends intuitively fast, when they become ill. And when left in the wild? Their health and vitality I'd say, 'puts Man's to shame.’ Plus, Dr. Walford found fasting to be the ONLY reliable method of extending a creature’s life. It's good stuff here by Burroughs. Again: Read, use, enjoy. *Copyright 2015, J. Sekerak. Consult your doctor before engaging in any diet or fitness program. Plus: Consult your good ol' common sense! Which, in my experience, rarely steers you astray.